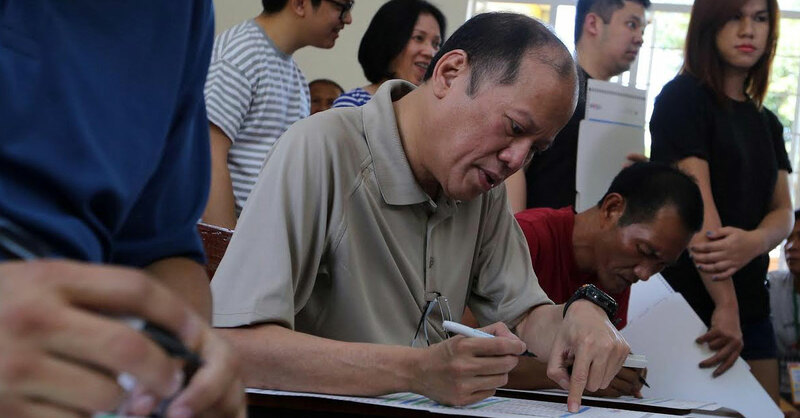 This morning, at 9:00 a.m., President Benigno S. Aquino joined 52 million Filipinos in casting his vote in his home province, Tarlac. He voted at Central Azucarera de Tarlac Elementary School, in Barangay de San Miguel, Tarlac city. This entry was posted under The President's Day and tagged Benigno S. Aquino III, elections, General elections 2016, Halalan 2016, Tarlac, Th, The President's Day. Bookmark the permalink.